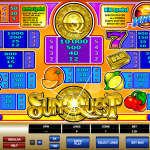 SunQuest is a very bright and shining video slot game that can put a smile on your face in no time. We have a mixture of modern and traditional symbols here. The irreplaceable fruits like oranges, lemons and cherries have been vamped up only for you. This is a slot that not only looks but it also feels like a classic game, thanks to its simplicity. SunQuest is a throwback to simpler times, when we enjoyed video slot games that were so easy and without complex features. So, you wanted a game like that and you have it now in the form of this entertaining slot. Just to make the game play more thrilling they have added couple of special features but they kept it to the minimum still. We have a wild symbol, a nice sunset, which appears only on the second, third and the fourth reel. The wild can stand in for every other symbol except for the scatter to complete a winning line. Then we have the colorful scatter symbol. What makes this symbol special is the fact that it does not have to appear on a pay line to be effective. Microgaming has a big list of games that are throwback to some much simpler times, just like it is the case with SunQuest. This is a very simple and easy game to play. The reason we still have this kind of games is simply because they are still played. 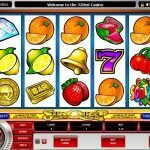 Whether it is someone who is nostalgic or someone who is playing online slots for the first time, they are still appealing to a certain both loyal and new audience. 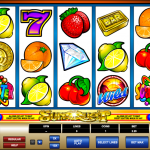 If you like captivating slots then consider playing Reel Thunder a 5 reel slot by MicroGaming.